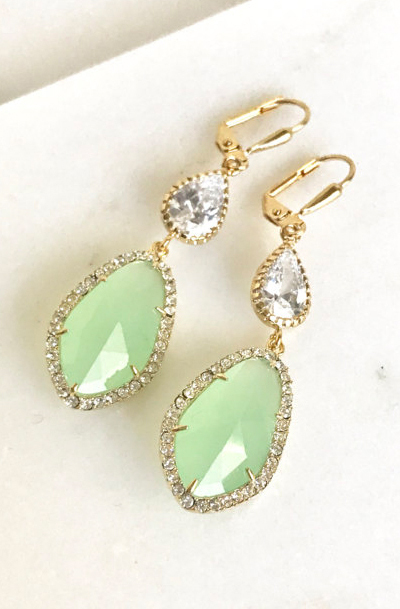 Mint Green Bridal Earrings. Mint and Cubic Zirocnia Bridal Earrings in Gold. Wedding Jewelry. The earrings about about 2.25" long on gold plated leverback earwires. The stones are glass set in gold plated brass.